Relive history as the men who experienced some of the most intense battles of World War II share their stories. The WWII Battle Classics, produced as major TV specials by Lou Reda Productions for the past twenty years, have been brilliantly adapted for thrilling audio presentation. It's more than fascinating listening, it's essential history, told in the words of the eyewitness heroes who were there and the historians who recorded their deeds. 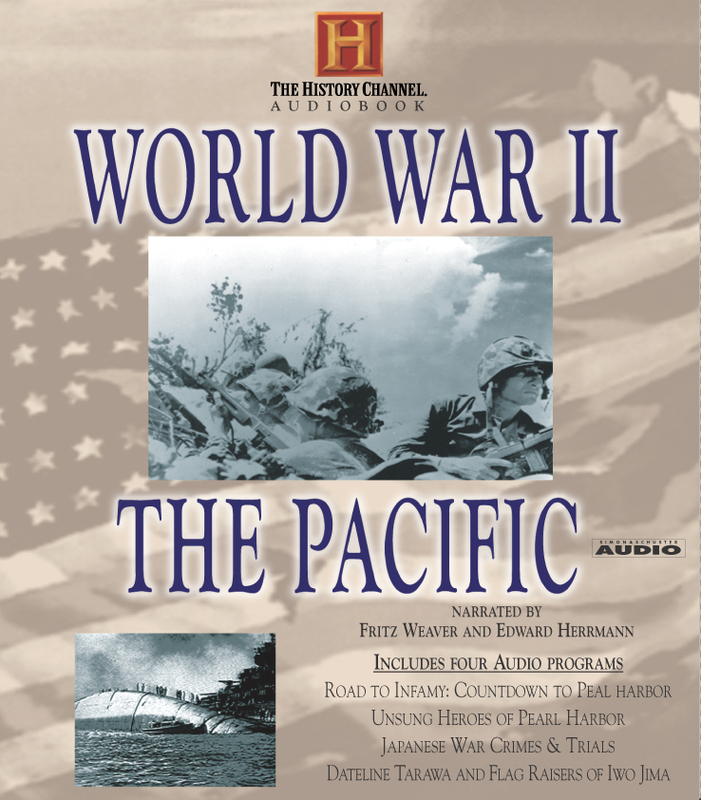 World War II: The Pacific features full orchestration and the deadly clamor of desperate battle. The Road to Infamy: The Countdown to Pearl Harbor features the fascinating unseen story of the violent decade of miscalculation that brought the U.S. and Japan into fatal confrontation. Rare archival material from the secret vaults of many nations highlight the tragic blunders on both sides. The surprises come thick and fast. Unsung Heroes of Pearl Harbor: America's mythmakers don't like to look into defeats for their heroes. The disaster at Pearl Harbor was such a national humiliation that its chroniclers didn't care to remind the home front of its dead and ravaged. Japanese War Crimes & Trials: Murder Under the Sun War reigned around the world between 1932 and 1945. During this rampage of insanity, over 320,000 allied prisoners were captured by the Japanese forces. Their survival rate was dismal -- one in three died. From the Bataan Death March, to Changi and Palembang prisons, the atrocities were everywhere. Dateline Tarawa: Correspondents from Hell: Part I and The Flag Raisers of Iwo Jima: Part II The battle for the Pacific island of Tarawa was one of the most ferocious of the war. At the center of it all were warriors whose only weapons were cameras, notebooks and sketchbooks -- the unknown combat journalists sent to communicate to Americans the vital importance of defeating the Japanese war machine. Part II: One of the most famous American flags ever flown was the one that six men lifted up on a mountain overlooking the blood stained Pacific island of Iwo Jima. As this riveting account reveals, the heroes of Iwo Jima included not only the men who planted that flag, but also the countless, nameless others who fought and died to make that unforgettable moment possible.